When we visited French Polynesia, we had a layover in Los Angeles. We decided to spend the weekend there to explore the city. 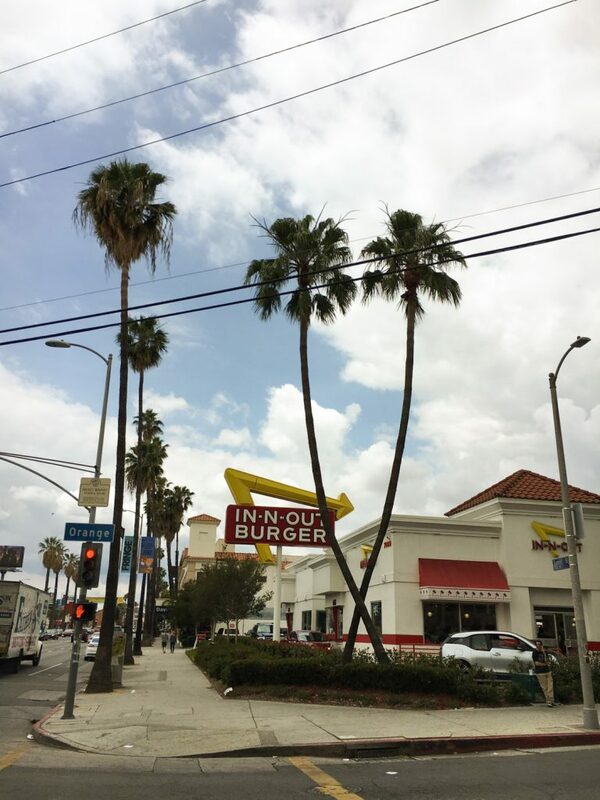 Here are 6 tips for a short 48 hour layover weekend in Los Angeles. 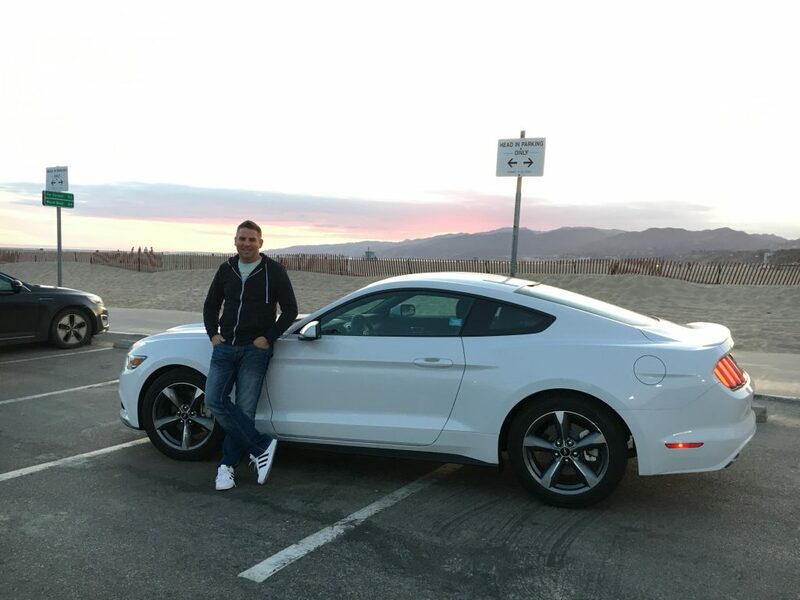 Renting a car in LA is a must! Public transportation isn’t as good as it is in New York or Barcelona. We arrived at the airport on a Friday night and we could easily pick up our car and drive to our hotel. The rental car gave us so much freedom, we were able to see and do a lot during our short stay! It wasn’t as glamorous as we thought it would be unfortunately. 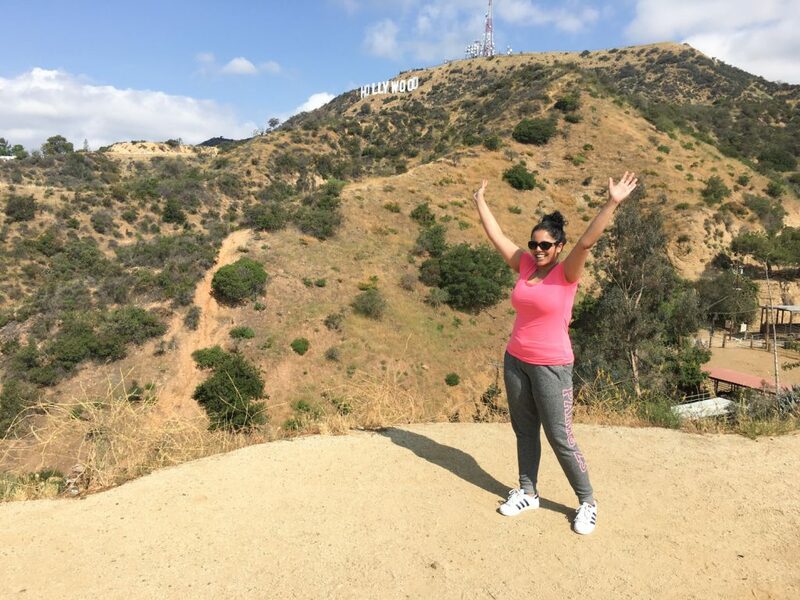 But still, this sightseeing activity is on our list since it so iconic for LA. Prepare for homeless people and a lot of tourists. A trip to LA would not be complete without a cheesy photo of yourself with the Hollywood sign in the background. Keep in mind that it can be quite a climb up to the top since you are not allowed to park your car up there. 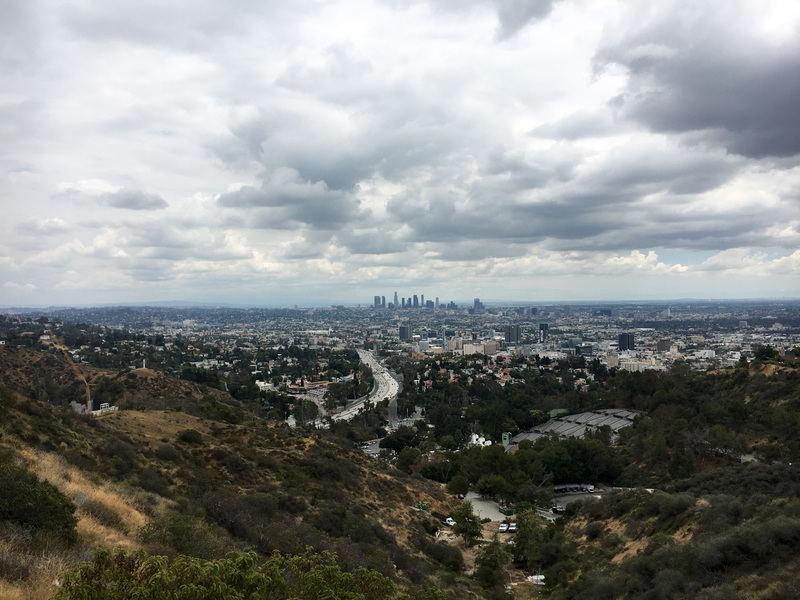 If you do want to see the Hollywood sign from your car you can take a different route. You’ll won’t be as close to the sign but you will have a great view. On the same route there are different stops where you will have an amazing view of the city. Just like you often see in the movies. Because we rented a car we had so much freedom and could do pretty much anything we wanted. Saturday afternoon we wanted to go to the beach so we decided to go to Santa Monica. It’s about a 30-60 minute drive from downtown LA depending on traffic. When we arrived we immediately recognized the pier with all the carnival rides. When you get to the end of the pier be sure to look down to the water. You might be surprised by some seals. We absolutely loved the laid back vibe in Santa Monica. You can go to the beach or go shopping. We did just that and ended our evening with dinner in a cute restaurant. 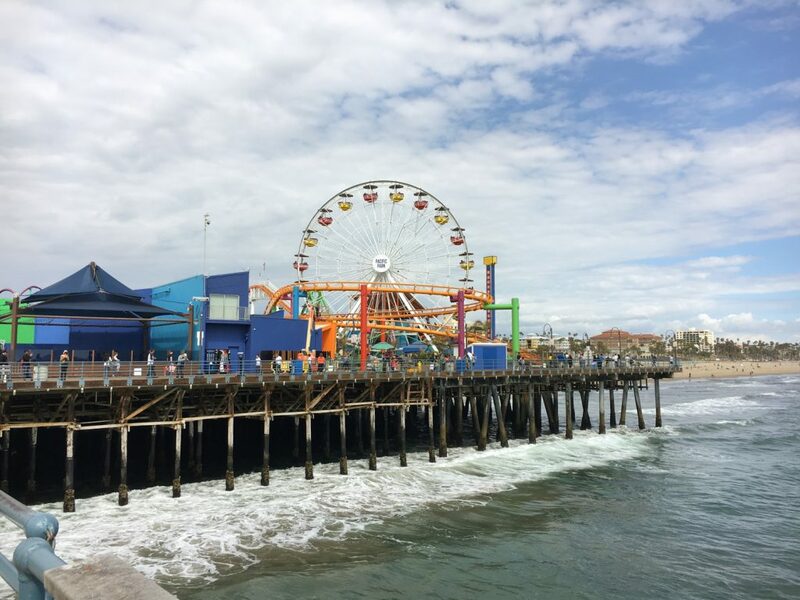 Santa Monica is a definite must visit in our opinion. If you want to feel like a real celebrity, you should definitely go shopping on Rodeo Drive. Be sure to take you credit card with you since most stores here are high end and expensive. Window shopping however could be a good option as well. 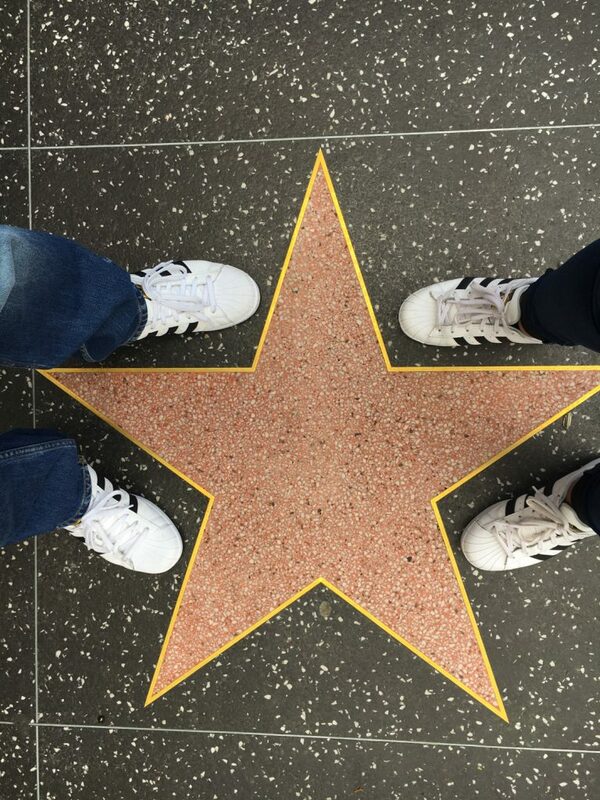 Enjoy the luxurious vibes of this part of town and you might bump into a real celebrity. 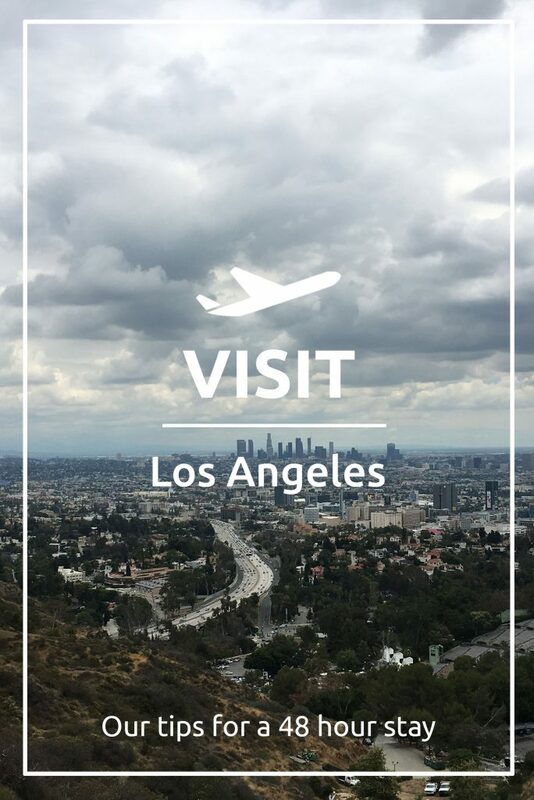 Have you ever been to Los Angeles? What are your recommendations? Let us know in the comments below or on social media www.instagram.com/packyoursuitcases.